The Congress has been allotted 38 minutes out of the seven hours allocated for the debate. Party president Rahul Gandhi, and leaders Mallikarjun Kharge and Jyotiraditya Scindia will speak on the motion. The no-confidence motion has been brought "to show the mirror to the government", Anand Sharma said. The Congress today said that tomorrow's 'no-confidence motion' was more than a show of numbers and it will use the occasion to "expose" the government's "failure". 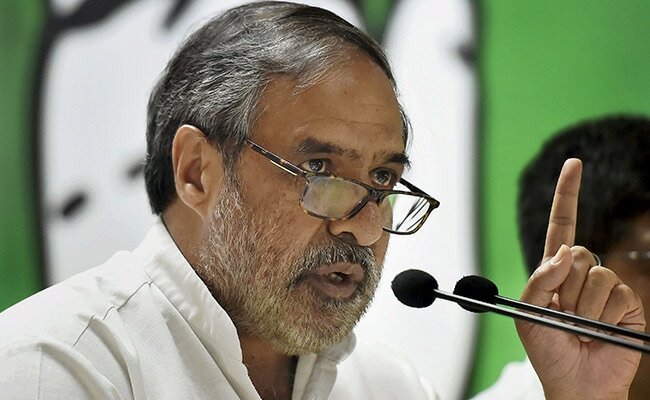 Addressing a press conference, Congress' senior spokesperson Anand Sharma said his party has the support of other opposition parties on the no-confidence motion which has been brought "to show the mirror to the government", highlight the various issues concerning the people of the country and ensure that the truth reaches them. "It is not only a question of numbers. We will use the occasion to expose the government and raise various issues concerning the people of the country and tell the truth to the people. "Our campaign is to expose them, tell the people the truth so that they are deposed for good when the general elections are there. So, this is the launch of a campaign which will eventually send them packing in 2019," he told reporters. Mr Sharma claimed that the opposition parties are together, except for those who were their allies. "It is to show the mirror to the government," he said, when asked as to what did the Congress want to achieve through the 'no-confidence motion' when the numbers were in favour of the government. The party also held a meeting this morning with its MPs. UPA chairperson Sonia Gandhi also attended it. The Congress has decided to go aggressive against the Modi government by taking up issues related agriculture and unemployment. Congress chief spokesperson Randeep Surjewala said the Modi government has lost the confidence of the people, who have given their no-confidence against him and his government. "People have already passed a 'no-confidence motion' against Modi ji and they are only waiting for 2019 elections," he said. "The no-confidence is happening inside Parliament, but we are expressing in Parliament the feeling of 132 crore people sitting outside. "The game of numbers may be one thing, but Modi ji has lost the confidence of the people. Had he not lost the game of numbers too, they would not have prostrated before their allies and friendly parties," Surjewala said. Mr Sharma said Parliament is the place where issues are discussed and debated and "that is where you expose this government". 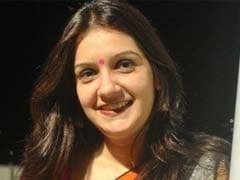 The Congress leader alleged that the prime minister and his government "believe in propaganda" and are unaware of the problems confronting the country and its people. "The prime minister is at best a demagogue and believes in hypocrisy," he alleged. "The larger issue is that the country is in agony and the people are suffering. The image of the country has been tarnished internationally," he alleged, saying the Congress and other opposition parties will demand accountability from the prime minister and his government. Mr Sharma said the Congress as well as other opposition parties had made it clear to the government that they wanted Parliament to function so that they could demand answerability and accountability of the government on various issues. He claimed that people in the country were "living in fear and the rule of law was not being enforced as people were being killed and beaten up for airing their views. They were also being targeted for choice of food and clothing and the atmosphere was vitiated". "The government has betrayed the people of the country and is deceiving the people on issues of governance," he alleged. Taking a dig at the prime minister, Surjewala said if Modi and BJP chief Amit Shah are so confident of their numbers why are they prostrating before Uddhhav Thackeray. "The truth is that the youth of the country have already given their no-confidence in Modi ji for his failure to provide two crore jobs to them. No black money came and no Rs 15 lakh was submitted in their banks. He has lost the confidence of farmers and businessmen too," he said. Mr Surjewala said the country's small businessmen have already given their no-confidence, as their businesses have been shut and economy shattered.